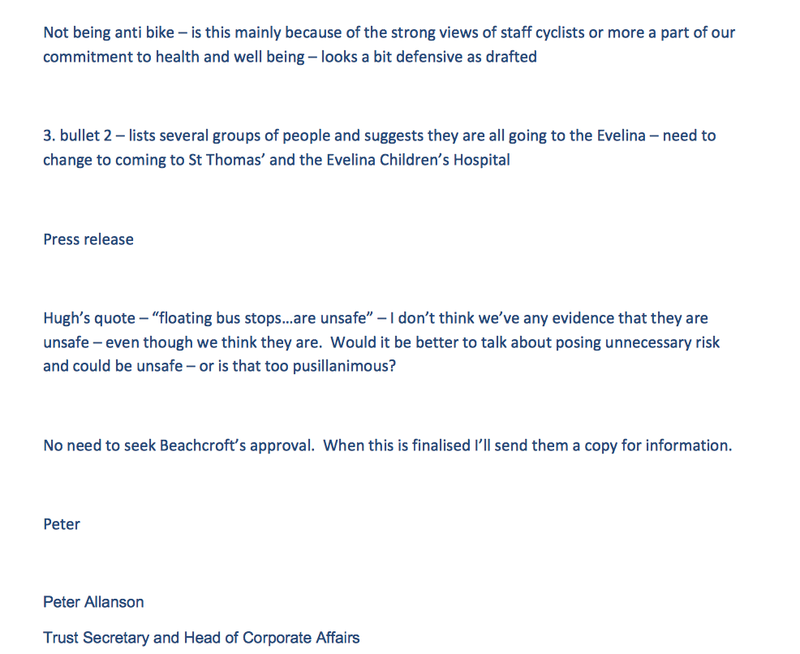 Thanks to the Freedom of Information Act an email from the chief executive of a major London Hospital Trust to a colleague has cast some light on things normally shaded from the public gaze. The background to this story is the opposition of Guy’s and St. Thomas’ Hospital Trust, on the south bank of the Thames, to the design of a cycle route passing the main entrance to the hospital. Transport for London (TfL) proposed to use the tried and tested system known as a ‘bus stop bypass’ (or ‘floating bus stop’).This involves running a cycle track ‘behind’ a bus stop, allowing buses to pull up and pull away unimpeded by cyclists and also means cyclists don’t have to deal with large motor vehicles pulling up in front of them, forcing them out into the lane of motor traffic to pass a stopped bus, and pulling away dangerously. 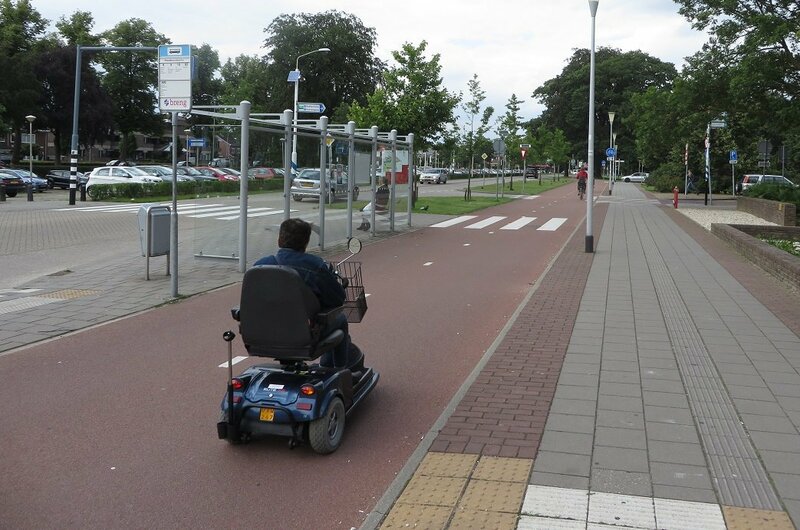 However, the design requires those who want to get on or off a bus to cross the cycle track and this feature has engendered opposition from the some quarters to their use in Britain – despite their being quite common in continental Europe. 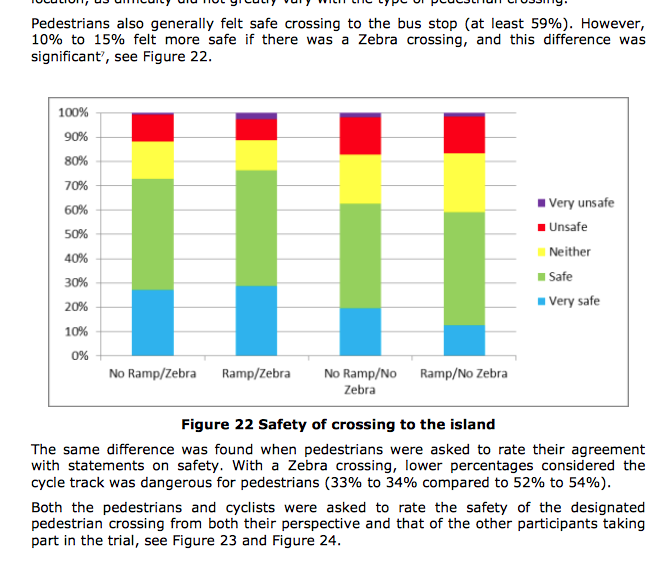 The evidence suggests that bus stop bypasses do not pose any threat to the safety of pedestrians. Also, they are popular with both cyclists and bus drivers, the latter having one less hazard to deal with in their testing job of driving all day round the streets of London (or other city). Yet the Hospital Trust has fought a determined campaign to prevent this type of solution being applied in its neck of the woods. So what, one might well ask? Corporations frequently oppose such proposals. What’s different here? This is a very revealing statement, not because the Hospital Trust is running a campaign but because it is quite consciously employing the methods and spirit of a real community campaign. 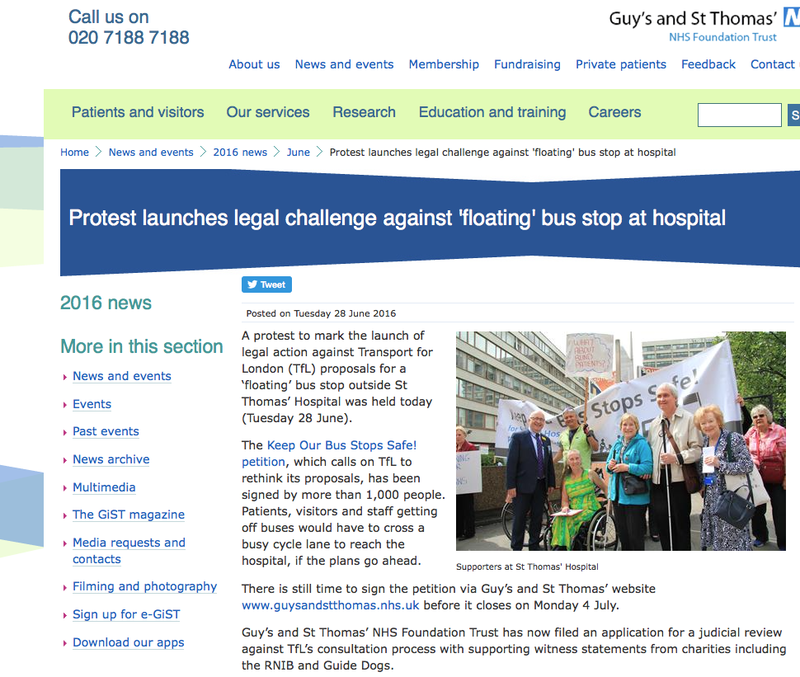 The Hospital Trust has set up a petition and organised a street “protest”. Setting aside the spectacle of a senior NHS health service manager describing telling the truth about the absence of evidence for its campaign as “pusillanimous”, we gain an insight into the reality of the Hospital Trust’s “community activism”. It’s a sham, borrowing the tools of community activism – petitions, letters to the local papers, protest demonstrations, etc. – for a corporate purpose. 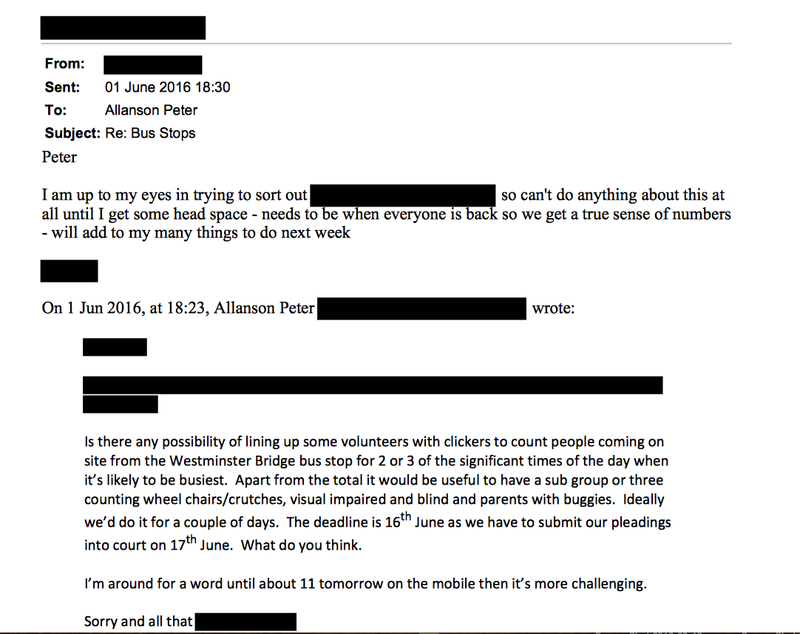 The documents uncovered by the FOI requests show that there was disquiet within Guy’s and St Thomas’ Hospitals with the Hospital Trust management’s programme aimed at preventing implementation of the bus stop bypass and at some of the language used by the Hospital Trust management. But these views were disregarded. 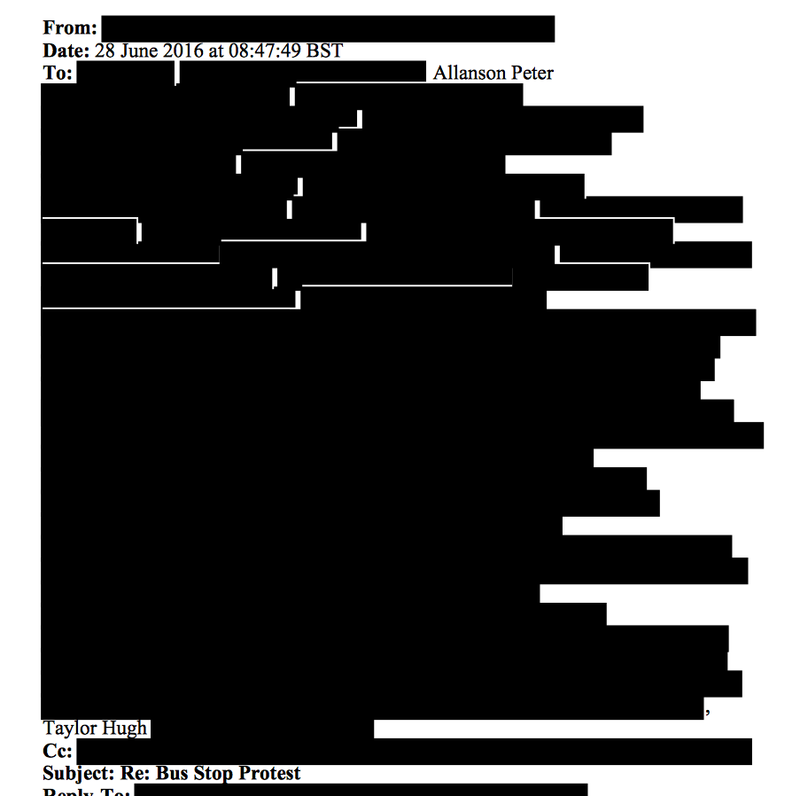 As you can see from the documents reproduced here, these dissenting emails have been censored to remove the name of who sent them so we remain unaware of whom within the Trust opposed its pretence of “community activism”, and some of the emails were totally or almost totally ‘redacted’. Also we get a hint of the pressure of mid-level management charged with running day to day hospital services as well as contribute to the senior management’s “community activism”. Yet despite the NHS being in a crisis of capacity and of funds, the Hospital Trust used NHS funds to run its campaign. Furthermore, one FOI document revealed that the Hospital Trust has spent nearly £10,000 of NHS funds on “legal advice” for its unsuccessful judicial review which it undertook alongside the “community activist” campaign. The response to the FOI requests also showed that the Hospital Trust did not record the time its management and employees spent on the “community activist” campaign, so the actual cost to the taxpayer of the Trust’s community activism is considerably more than just £10,000. 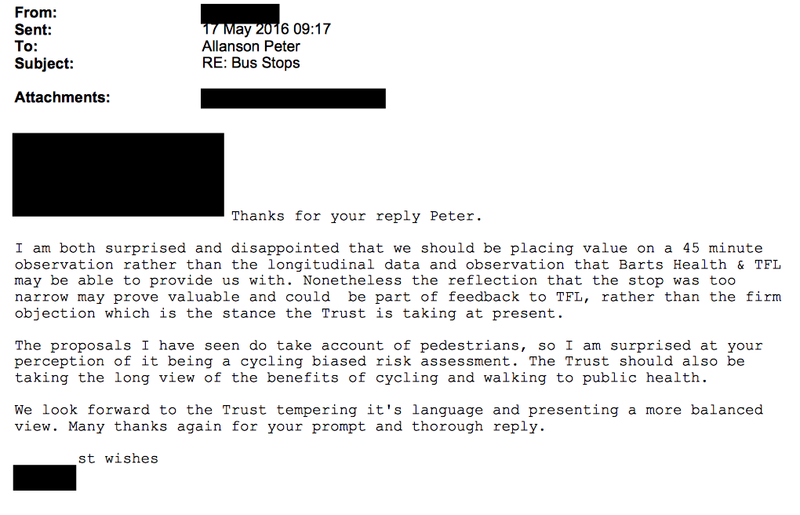 Cycle campaigners – truly community activists funding their campaigns out of their own pockets and running them in their spare time – were left with providing the evidence from the that suggests that bus stop bypasses are not a safety problem. 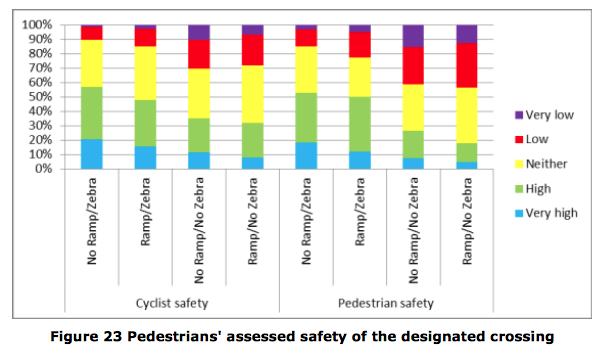 The UK’s own Transport Research Laboratory (TRL) has studied the issue in detail and concluded that safety of pedestrians is not seriously compromised. Meanwhile, a supposedly science- and evidence-based medical services profession has promoted its corporate campaign based on a lack of evidence. It’s almost as if the NHS were promoting the evidence-free assertion that inoculation causes autism while the public were uncovering that the evidence showed they were wrong. It’s a form of role reversal. Increasingly (or so it seems) we are facing pretend community campaigns being conducted by corporate interests. 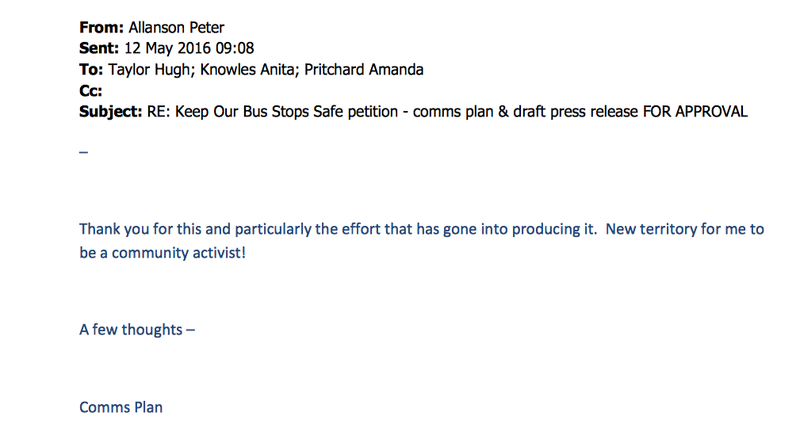 In a previous blog – https://cyclableblog.wordpress.com/2016/06/12/cyclings-dodgy-dossier/ – I wrote about how the British bus industry had set up a body called “Greener Journeys” to run a campaign to promote buses and denigrate other transport modes such as rail and cycling. The “campaign” was run by a public relations firm with specialists in providing “reputation uplift” services to their clients. The Greener Journeys tried to give cycling a ‘reputation down-shove’ in a report claiming that cycling was predominantly a transport mode of the affluent. Unfortunately for Greener Journeys, I pointed out that the study it cited to back up the claim, had been selectively cited and did not actually support that conclusion. Instead it showed that the ‘participation rate’ for cycling in London is roughly the same for all of those with (household) incomes of £15,000 or more. The sight of the combined corporate class of bus company executives, well-paid PR professionals, academics sitting on comfortable ‘advisory boards’ and friendly journalists, attacking cyclists for being too upper class may be a delicious irony. However, it underlines the seriousness with which we need to take corporate “community activism”. 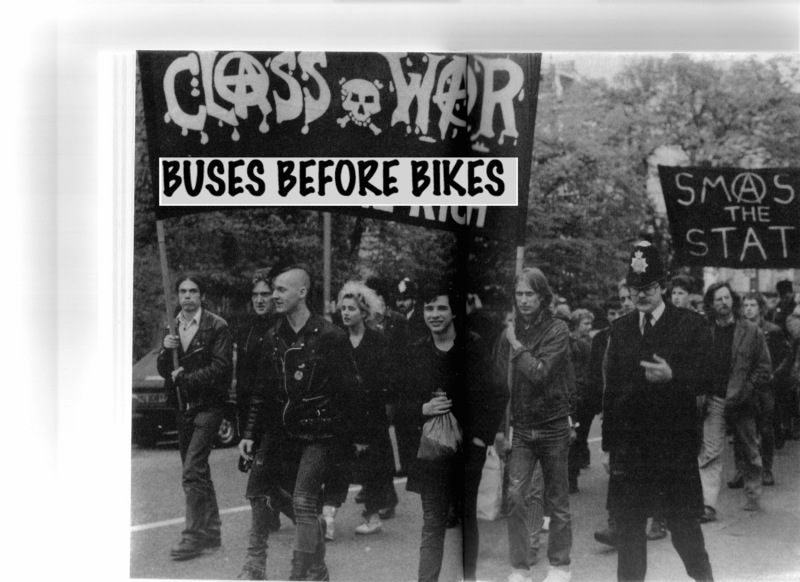 Greener Journeys was cool enough about it all to assume that no one would call them out for hypocritically creating a class war. All that matters to them is that the class war or other message get circulated and undermine the target of their ire. Now, this may all be nothing new. Certainly corporations and other powerful interests have long lobbied (often corrupted and sometimes even controlled) governments and local authorities. A lot of the arguments deployed to rubbish the science of climate change no doubt originated in corporate meeting rooms when reputation uplift specialists discussed the needs of the carbon fuel industries when faced with the realities of fossil fuel based global warming, such as opposition to wind turbines. Maybe what is new is that modern tools like Freedom of Information Act and the organising and information-spreading capabilities of the internet are having an effect. We – genuine community activist groups – can exchange information with an ease that is previously unparalleled. With the rights gained through the Freedom of Information Act we can prise out information formerly kept secret for 30 or more years. With twitter, facebook and the blogosphere, we can circulate that information, get it into the public debate, perhaps to become of influence. It’s interesting to note that the first to circulate some of the revelations about the Guy’s and St Thomas’ Hospital Trust were campaigners who put in the FOI requests. Other cycle campaigners then rapidly retweeted the information. Sometime later the specialist cycling press had picked up the story and wrote about it, to be followed a day later by ‘mainstream’ press in London’s Evening Standard. No doubt a Guardian and maybe a couple of other newspaper articles will follow. This too is new. The press have only beginning to cover cycling as a transport issue in recent years and even though we may often despair at the vapidity of much coverage it is a very welcome development. But it remains the job of the campaigners to ferret out the information, even to do basic research, while corporates can dig into their coffers, public or private, to try and hide the research and the facts, and to spin a message that represents their corporate view – we have no evidence that bus bypasses are dangerous, but let’s say they are. This is “community activism” in the service of corporate interests and which requires real community activists to divert their efforts from their normal activities of lobbying, petitioning, protesting, etc., into uncovering the truth in any situation. In recent months I’ve heard of staff working for a hydro scheme company sending in responses to the planning consultation as local residents and, in one case, engaging in Facebook discussions under the same pretence. The planning application was rejected and the company is now appealing. In objecting to the new application local campaigners discovered that the competent natural resources authority had acceded to a company request to do a survey of bio-diversity in one area from a distance using binoculars. The campaigners commissioned their own ground survey to establish the real situation and, not surprisingly, revealed a much denser biology that would be put at risk. Another hydro scheme involved using the site of a World War II and post-war weapons dump. Official and corporate surveys found little to worry about. But local campaigners again commissioned their own water survey after discovering that the official and corporate surveys were limited to near surface sampling. Deeper sampling revealed that, if the waters were disturbed or released, there would be worrying levels of chemical weapons waster and even small amounts of nuclear waste material. A decision on planning approval for this project is awaited. A third scheme concerned an application for sinking a new mine into some hills in a former coalfield area which had been affected by a recent landslip where mud and trees slid down and across a road, and halfway up buildings on the opposite side. Fortunately there were no injuries, but the landslip alarmed local campaigners who also worried that the new mine would alter underground drainage patterns and undermine the hill causing more landslips. The applicant company employed a geologist who claimed there were no faults in the area. However local campaigners checked out the official geology maps and discovered there was indeed a deep-going fault that would endanger drainage patterns and make more landslips likely. This evidence led to the rejection of the planning application. But, once again, economic use of the truth by corporate interests put local community campaigners on the back foot, only for those genuine campaigners to have to uncover the truth. This a form of role reversal. Professionals don’t serve to garner information about reality, but gather and invent distortions to aid the sponsoring corporation to get its way. It is up to campaigners to garner the evidence for change and to take the lead in proposing solutions. As corporates get more powerful and more amoral (if indeed they are any more amoral and not just as amoral as ever they’ve been) democracy is at risk from corporate “community activism” distorting the truth to pursue corporate interests. Transparency is critical in evening out the imbalance of power between corporates and citizens. Perhaps the most unsettling thing about the Hospital Trust’s determined and expensive opposition to the bus stop bypass is that it is getting worked up about such a comparatively trivial matter and on what is clearly a personal bee in the bonnet of a senior manager or managers at the Trust. 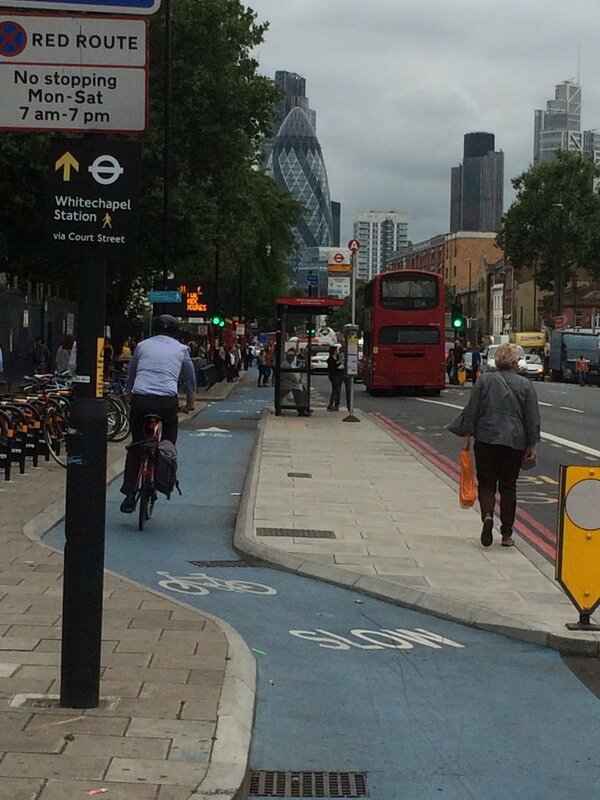 The bus stop bypass is important to cycling in London as we are only just beginning to build a handful of high quality cycleways which need this sort of approach to maintain an effective integrity to the quality of the nascent network. But, to the Hospital Trust this is not a priority, especially if it is true that the NHS is in crisis, tottering under an explosion of demand. 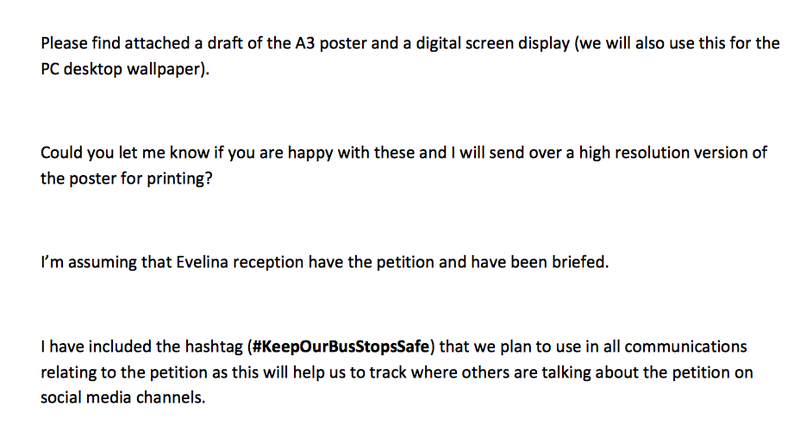 But at Guy’s and St Thomas’ Hospital Trust, there’s plenty of funds and a bevy of senior managers and IT and media specialists on hand to run a “community activist” campaign about a standard design bus stop. Something’s gone awry.